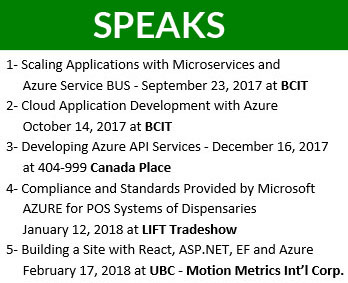 On October 4, 2011, Richard Campbell presented in BCIT the highlights of this year’s Windows BUILD conference, as well as added a few of his own insights about the direction of Windows and Microsoft. The first and most apparent change in Windows 8 is the user interface. Richard showed Windows 8 on the new Samsung tablet, and demonstrated its usability. 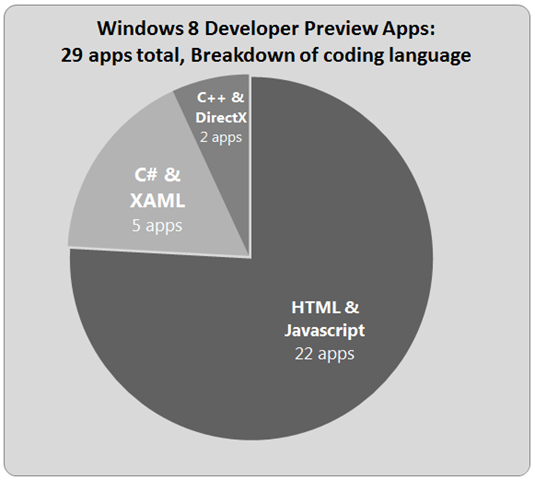 In Windows 8, everything is considered to be an application, including the traditional desktop. The main screen is similar to a mobile device; it displays icons of the installed applications. The desktop is one of these applications, and by clicking on the Start Menu the user is taken back to the main screen. This main screen is Windows Metro, a new design language that features a simpler and cleaner user interface. Microsoft is pushing Metro as the new way of designing their products, which will rely on WinRT, or Windows Runtime. WinRT is the new programming model that simplifies the interfacing between languages and platforms, consisting of services. Windows is also introducing an “App Store”, for both desktop applications and mobile applications. Unlike the Android store, these App Store will be curated, and Microsoft will be just as responsible as the developers for any bad or malicious apps. The Internet Explorer 10 app is completely chromeless and does not support plug-ins. However, running Internet Explorer 10 on the desktop will allow plug-ins, and will feel like IE does now with the traditional chrome. Richard also talked about the popularity of Windows 8. He explained that because many companies didn’t switch to Vista, they waited until Windows 7 to be released. Now that these companies are finally set up with Windows 7, they won’t want to switch again once Windows 8 comes out, and instead wait for Windows 9. Therefore, Windows 8 is directed at the consumer, and Windows 9 will be directed at enterprises.